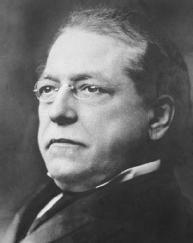 Samuel Gompers, a founding member and longtime president of the american federation of labor (AFL), was instrumental in broadening the goals of the labor movement in the United States. He used his gifts as an organizer and speaker to consolidate numerous unions into one umbrella organization that lobbied successfully for improved working conditions for all tradesmen. The son of Dutch immigrants, Gompers was born in London on January 26, 1850. He attended school briefly but began working at age 10. Initially apprenticed to a shoemaker, he chose instead to become a cigarmaker like his father. The family moved to New York in 1863, and within a year Gompers had joined the Cigar Makers' National Union. At around this time many trades were beginning to form unions, but their power was limited because as small, individual groups they had little clout. By the 1880s, leaders of the various unions decided that by uniting in common cause they would make for a stronger political force. Late in 1881, several unions joined together to form the Federation of Organized Trades and Labor Unions (FOTLU). Gompers, who had proven himself an able leader in the cigarmakers' union, was elected an officer of FOTLU. FOTLU was a first step for organizing unions but it was too loosely connected to have any real influence. In 1886, FOTLU was restructured into the American Federation of Labor (AFL), and Gompers was elected president. Except for a one-year hiatus in 1895, Gompers remained AFL president for the rest of his life. As AFL president, Gompers steered the organization toward practical goals. He was interested in securing living wages for union members, an eight-hour work day, comprehensive Child Labor Laws, equal pay for women and men, and compulsory school attendance for children. To that end, he lobbied tirelessly for these and other improvements for working men and women. "I wonder whether any of us can imagine what would be the actual condition of the working people of our country today without their organizations to protect them." Gompers steered clear of political issues (although in 1899 the AFL did endorse women's suffrage). Many left-wing labor leaders thought that Gompers was too timid and ineffective, too tied to the mainstream. Anarchist Emma Goldman wrote that the AFL had not "grasped the social abyss which separates labor from its masters, an abyss which can never be bridged by the struggle for mere material gains." But under Gompers's leadership, labor made significant sustainable gains at the state and federal level. Workers' compensation laws were enacted to assist those injured on the job; wages were raised; and the eight-hour day became law for a growing number of workers (including federal employees in 1912). In 1913, the federal government created the Labor Department, and, in 1914, it passed the clayton antitrust act, which protected union members from prosecution under the sherman antitrust act. That same year, industrialist Henry Ford initiated the eight-hour workday (at $5 per day) at his automobile plant. When the United States entered World War I in 1917, Gompers chaired an advisory committee of the Council of National Defense, which was created to coordinate industry and resources in wartime, and called on employers and employees to stand united and not take advantage of the war to make unreasonable demands. He traveled to Europe during the war to examine labor conditions, and after the war, in 1919, he attended the negotiations for the Treaty of Versailles, where he was instrumental in the creation of the International Labor Organization (ILO). He attended the Congress of the Pan-American federation of Labor in Mexico City in December 1924. He collapsed on December 8 and was brought to San Antonio, Texas, where he died on December 13. Goldman, Emma. 1925. "Samuel Gompers." The Road to Freedom. The Emma Goldman Papers: Berkeley Digital Library. Available online at <sunsite.berkeley.edu/Goldman/Writings/Essays/gompers.html> (accessed July 6, 2003). Kaufman, Stuart Bruce. 1973. Samuel Gompers and the Origins of the American Federation of Labor. Westport, Conn.: Greenwood Press. Mandel, Bernard. 1963. Samuel Gompers: A Biography. Yellow Springs, Ohio: Antioch Press. Craft Union; Industrial Union; Labor Union; Trade Union.